As you already noticed the color tab in Black Ink offers three color types: Solid, Gradient and Image-Based. This tutorial will be about the second button, the gradient color. The four built-in brushes of Black Ink can apply gradients. 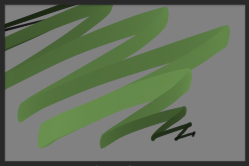 By default the color will follow the gradient according to the stylus pressure, except for the "crepe" brush where it is linked to the stroke's speed. This of course can be changed with controllers but we'll do that in another tutorial. 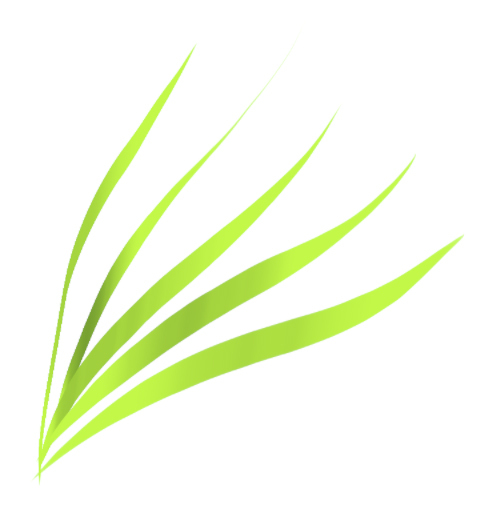 Let's just see how to define a gradient for now. 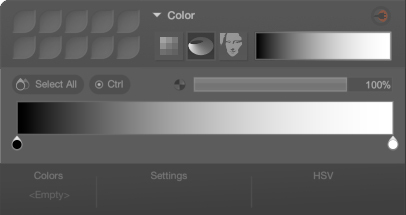 When you select the Gradient color, you'll see the color preview change from a plain color to a gradient. 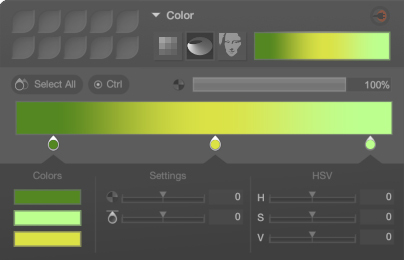 And when you click on this small preview, the gradient editor appears. 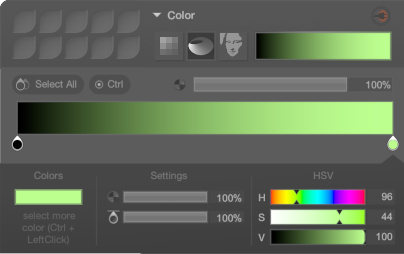 When you click on the small color preview, you'll open the standard solid color editor. 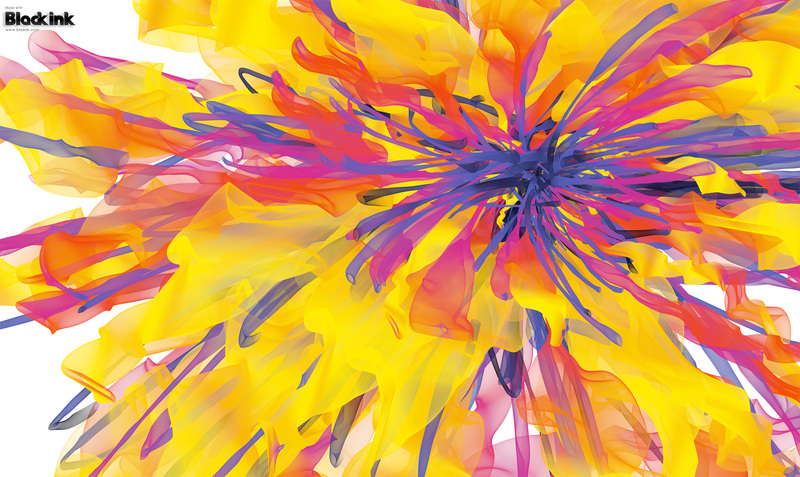 It's the same as the simple solid color with its favorites, color history and eyedropper. 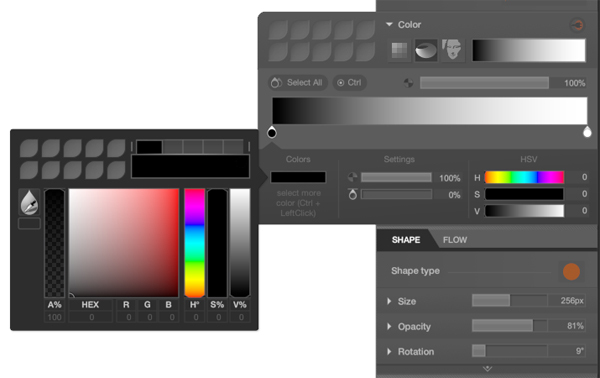 That's the main tool for defining the colors in your gradient. Back to the pickers. You can move them as you want and add more of them by clicking just below the main gradient ramp. To delete a picker, just drag it outside the pickers zone, up or down. First, we have a "Settings" area. The first bar is a shortcut for the alpha of your color. 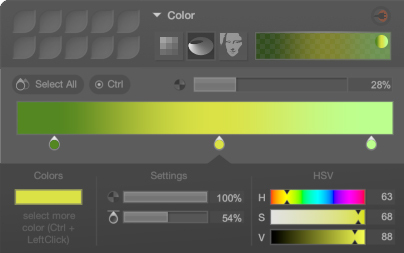 It's the same as opening the color editor and changing its alpha. 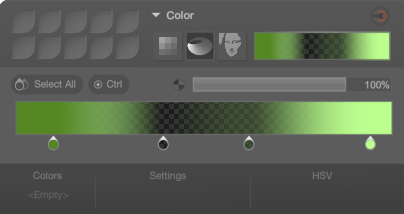 The slider below changes the position of the picker in the gradient, just like when you move it directly with your mouse but here you can also enter an exact number. 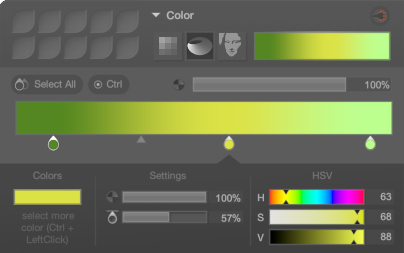 Then in the "HSV" area, you can change the hue, saturation and value of the color. Once again it's the same as opening the color and edit it. So, if they do the same as the other editors why are they here? The reason for that is that you can select multiple pickers at once! To choose the pickers one by one, activate the "ctrl" button above the gradient or press and hold the ctrl key on your keyboard. To select all of them, use the "Select All" button. You can see in the lower part of the editor that there is now a list of all the colors selected. And now, using the "Settings" and "HSV" sliders, you can apply modification to all of them at the same time! you can change all the alphas, move them all left or right, saturate every color, and so forth. These modifications will add to the starting settings of the colors so for instance if you had different alpha values and decrease the alpha of all the pickers, they will all become more transparent, but there still will be pickers even more transparent than the others. 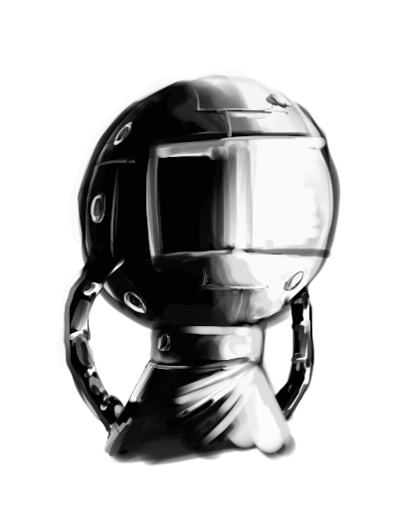 But most of the time you may want to leave that to the opacity parameter of the brush so let's keep that at 100% for now.